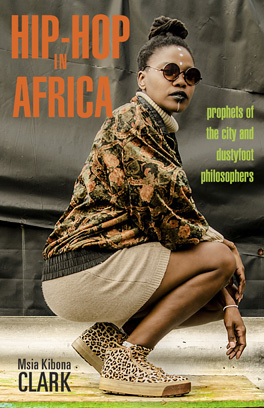 I have nothing but respect for Shadia for being a highly respected Hip Hop emcee and being known as the “first lady of Aribic Hip Hop” in a society where women are barely respected in everyday life. She exudes strength and serves as a positive role model for the fellow women in her society. Watching this music video and reading the lyrics gave me a new found respect for the Arab culture; they exuded so much pride for their culture. The reference to the wearing of the kufiya is yet another reminder of how Europeans poorly mock bits and pieces of others cultures yet have very little respect for the wholistic culture. In the song, Shadia raps about how everything Arab they (referring to the west) wants it and the words put me in mind of how the west has created this terrifying depiction of those of the middle east so they can continue to exploit the area. This music video and the way in which the people carried themselves gave me the opportunity to see Arabs in such a positive light, one that I would have missed had I not been open-mined to the message of the song. Shadia also expresses in the song strong sentiments about not being quiet about the land being theirs and waving their kufiya’s to show pride and resistance to the west in their country. The song was overall extremely inspiring and allowed me a positive outlook on the Arab people. It allowed me to see that they are just as taken advantage of as those of the rest of Africa, only we were painted a false picture of the goodness of their people. I appreciate and admire their sense of pride and only imagine the possibilities if all Black people of the Diaspora embodied the same.